A handful of youngsters at one primary in Norwich are getting into the stride of a new school year in more ways than one. 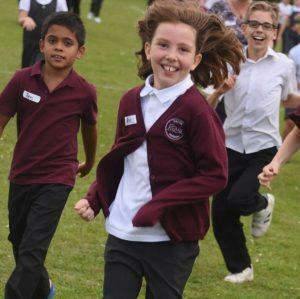 Pupils at Eaton Primary School embarked on their first Daily Mile on Wednesday, the first day of the new school term, which saw all youngsters don their trainers and walk, jog or run their way around a course. They will join several other schools around the region who already take part in the Daily Mile, a national initiative which encourages children to run for 10 or 15 minutes in the fresh air every day. The scheme – which encourages pupils to run in their school uniforms to save time – is thought to result in children running an average of a mile each day. Though some might have been feeling the strain after six weeks away from school, there were smiles and laughter from most of the Eaton children, who were divided into two groups for younger and older pupils.